Large Print Newspapers - Get Your News In Large Print. Here's How. Large print newspapers are made possible thanks to different reading magnifiers and electronic book readers, making it possible for those with macular degeneration to read the daily news. 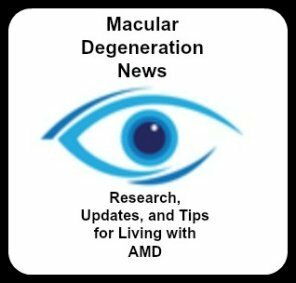 Large fonts with bold, dark letters, with a white contrasting background makes reading easier for those with macular degeneration. If you are looking to subscribe to your favorite daily newspaper in a large print edition, it is now possible - thanks to a variety of reading magnifiers - like electronic readers, dome magnifiers or page magnifiers. 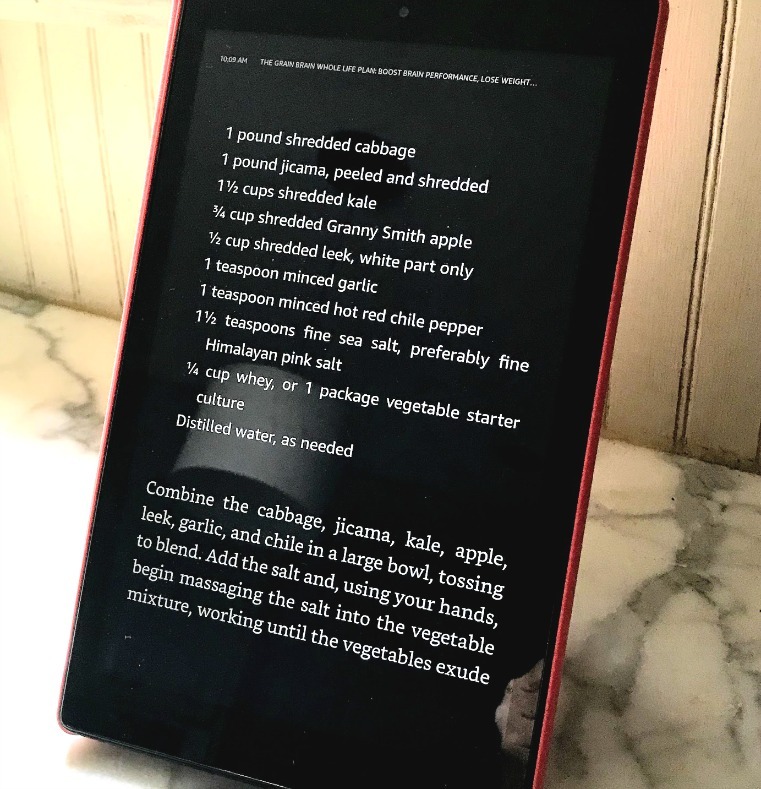 Electronic readers, such as Amazon's Fire HD make it possible to turn your favorite daily newspapers into large print newspapers. Each morning the newspaper is downloaded right to your wireless reading device. The advantages of reading your newspaper on an electronic reader, is that you can enlarge the font and adjust the contrast. For reading newspapers, the larger the screen the easier it is to read. The Kindle Fire HD 10 offers the largest screen with a 10.1" display. You can also select the color combination of white on black or black on white for easier reading. Increase line spacing for even less eye strain. Large Screen Fire HD 10 Tablet with Alexa Hands-Free, 10.1"
You can subscribe to just about any major newspaper. It is delivered wirelessly every morning - you don't even have to step outside. Not sure how well this is going to work for you? You can try out your favorite newspaper subscription for two weeks for free and if you don't like it, cancel it. There are some advantages and disadvantages to reading an e-newspaper. 5. Downloaded right to your wireless reading device. So if you are not at home or you've moved away, you can still get your favorite local paper. The Kindle Newspaper subscriptions start with a 14-day free trial. You can cancel at any time during the trial period. If you enjoy your subscription, you do nothing and it will automatically continue at the regular price. If you don't like it be sure to cancel your subscription before the 14 days are up. You are charged automatically every month. Prices range from $11.99 per month USA Today to $5.99 for newspapers like the Houston Chronicle. National and international newspapers are available. Magnifying floor lamps are another option for those with macular degeneration who want to continue reading the daily newspaper. They provide a large lens that can magnify the print so that there is less eye strain. This lens measures 6-3/4" x 4-1/4". SMD (surface mount diode) lights are used that don't create heat, glare or shadows like other lights. 40 of these lights are used to similate natural daylight which provides great clarity with little distortion. An adjustable flex-neck allows for perfect positioning for the best lighting and magnification. 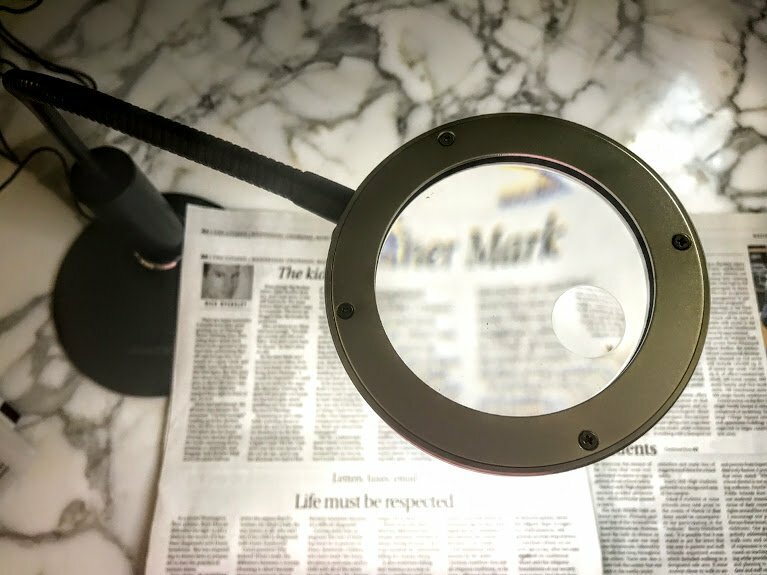 A dome magnifier easily slides across your favorite newspaper, magazine or book. It allows ambient light to flow from all surfaces to illuminate your reading material. There is no need to hold the magnifier at a certain distance because it is pre-focused. 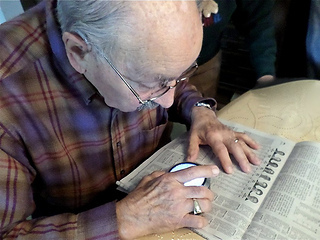 My father-in-law first started out with a 3x dome magnifier for reading his daily newspaper and is now using a 5x dome magnifier with built in LED lights. He is happy to continue his morning ritual of reading the Milwaukee Journal Sentinel. Use this reading magnifier while sitting at your kitchen table or desk. The size of your TV screen determines how large the print. The larger the screen the larger the print. This is my father-in-law's favorite way to read the newspaper. He is in his mid eighties and has wet macular degeneration. 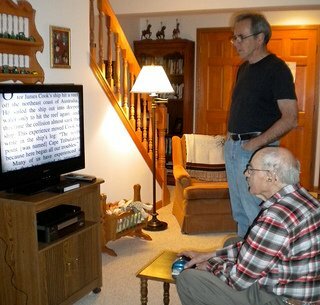 He needed a bigger screen to enjoy reading his daily newspaper. We purchased this reading aid from Amazon and it is now his favorite way to read newspapers and magazines. If you live outside the US they ship internationally. An gooseneck magnifying desk lamp allows the reader to adjust the magnifier and light to just the right distance for clarity and brightness. The 3X magnifying lens is 3" in diameter with a small 6X spot magnifier. The LED lights encircle the frame providing even lighting so there is less glare. 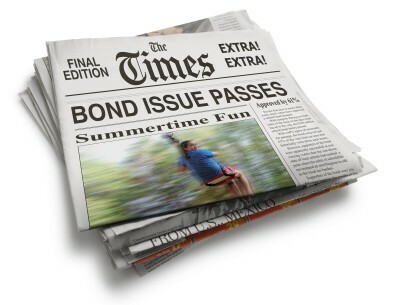 Did you know that another option to large print newspapers is to "listen" to the daily newspaper instead of reading it? Audible.com offers Forbes, The New Yorker and the Harvard Business Review. These downloads would come to your computer and then from your computer you can transfer to a CD or MP3 Player. Get your first 3 months for $7.49/month and $14.95/month thereafter. With this plan you also get a Wall Street Journal or New York Times audio subscription. Each morning, you'll get stories from the Journal's front page, as well as the most popular columns and briefings from Marketplace, Money & Investing, and more. And, every Friday, you'll get a bonus delivery: features, columns, and reviews from the Weekend Journal. Download audiobooks, news & more. Get your first 3 months at Audible for only $7.49/month!